Stay overnight in a Nelson treehouse at TreeHouse Point in Washington, Treehouse Utopia in Texas, or soon Treehouse Resort and Spa in Washington. Click an image below to learn more about each retreat. Established in 2006 in Fall City, Washington, TreeHouse Point is Pete and Judy Nelson's flagship overnight retreat and event center. Nestled 30 minutes east of Seattle and just minutes from the world-renowned Snoqualmie Falls, TreeHouse Point is emblematic of the breathtaking natural beauty of the Pacific Northwest. The verdant grounds are home to six iconic treehouses, a central lodge, a multi-purpose event space, and two cedar-lined bathhouses. TreeHouse Point also offers guided tours and hosts weddings and elopements year-round. Treehouse Utopia in Texas Hill Country is the outcome of a partnership between Pete Nelson and Laurel Waters, chef and owner of the renowned Laurel Tree Restaurant. With its four rentable, luxury treehouses and natural splendor, this romantic retreat exudes magic. Laurel has personally curated the interiors of all the treehouses, integrating many historic items she's collected on her travels through France. Treehouse Utopia truly lives up to its name, with sweeping views of the Sabinal river, prehistorically sized trees, and the starlit sky that stretches over Hill Country. You can find out more about reservations at Treehouse Utopia at treehouseutopia.com. The Nelson family is currently hard at work developing Treehouse Resort & Spa, which has a tentative opening date set for 2020. This distinctive treehouse retreat seeks to celebrate the natural beauty and cultural vitality of the Pacific Northwest. 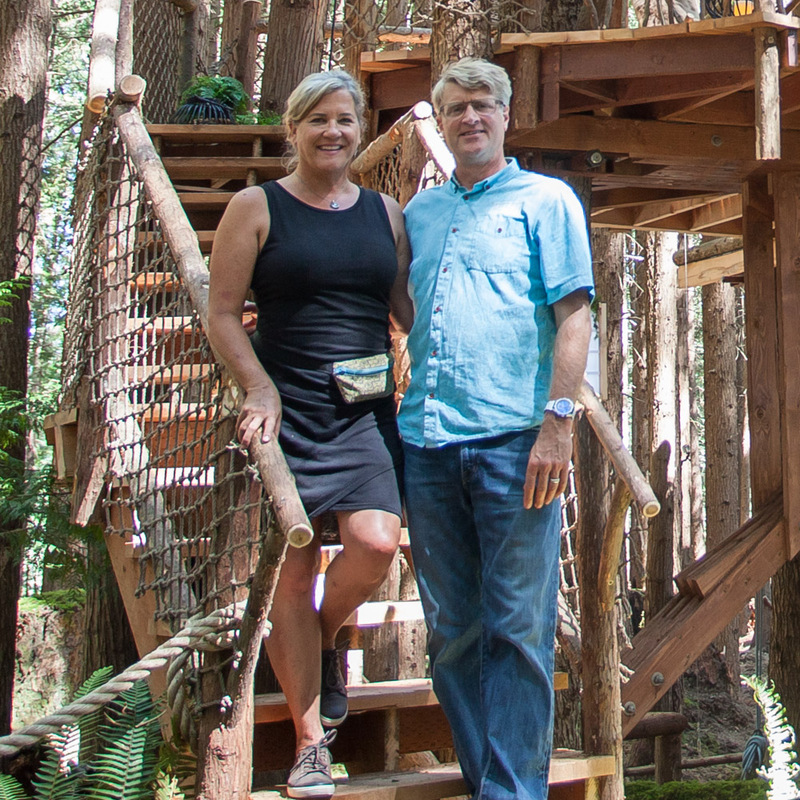 The Nelsons have long dreamed of building a more extensive resort than TreeHouse Point in Washington State, but with the same exceptional service and unique boutique experience. With an array of hand-crafted treehouses and small ground houses, Treehouse Resort and Spa invites visitors to unplug from the dizzying pace of modern life and bask in the beauty of the site's lush wetlands, savor local foods and wines, and enjoy the treehouse life. For a full list of all our other treehouses that offer opportunities for public visits, check out this blog post.